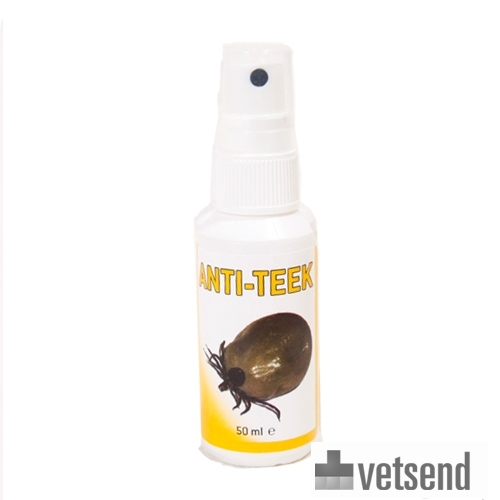 Anti-Tick is a natural repellent spray based on essential oils to prevent tick bites. Can be used on animals, humans and furniture. The Anti-Line of products from Perfectly Natural Solutions are based on essential oils as active ingredients and contain absolutely no deet, pyrethrin or citronella. This makes the product very suitable for the natural and safe defence against mosquitos, horseflies, ticks and wasps. The products are suitable for dogs, horses, other hoofed animals and even humans! Anti-Tick ensures that ticks stay away from humans and animals, therefore preventing tick bites. Water, solvents, organic acids, stabilisers, lavender oil. Anti-Tick is registered with the Dutch CTGB (College for the authorisation of plant protection products and biocides) and approved by the Dutch Ministry of VROM (Housing, Spatial Planning and the Environment). Apply the spray evenly on the animal and/or yourself at a distance of about 50 cm. Repeat daily. Have you used Anti-Tick before? Let us know what you think about this product.